A classic Vin Doux Naturel. 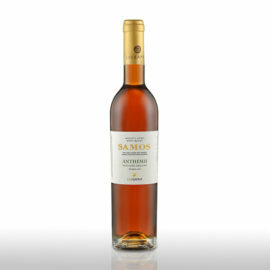 Its color is reminiscent of imperial topaz, with an intense and harmonious nose. In the mouth, it is fresh and sweet and its acidity perfectly balances it. It is pleasantly cool. 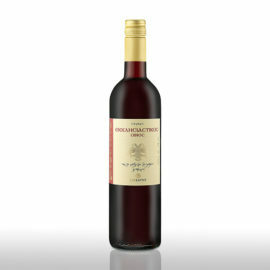 It is produced from well-matured White Muscat grapes of selected semi-mountainous vineyards. 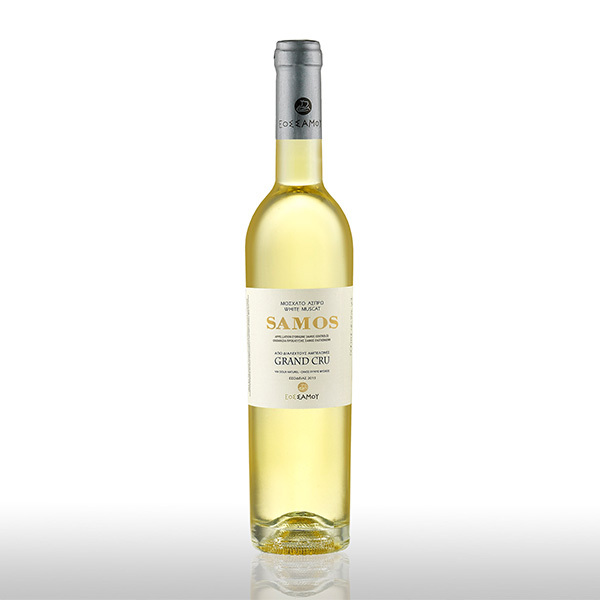 Served at 8-10ο C.
The most important ambassador of Samos wines, the “Samos Grand Cru” comes from selected vineyards and is a classic Vin Doux Naturel. Its color is reminiscent of imperial topaz, while its intense and harmonious nose expresses with absolute success the characteristics of primary and secondary aromas of the Muscat. In the mouth, it is fresh and sweet and its acidity perfectly balances it. It is pleasantly cool. 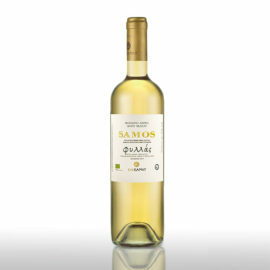 It is produced from well-matured White Muscat grapes of selected semi-mountainous vineyards. It successfully accompanies light sweets with fruits, but it is also suitable for experiments with “salty” dishes with cream or yellow cheeses, or bechamel. An unexpected combination is with rotisserie chicken, a true revelation!